Release: The ESIC Admit Card 2019 will be released by the exam conducting authority atleast 2 weeks before the commencement of the ESIC 2019 exam. The download procedure ESIC Admit Card Staff Nurse is also provided in this section. Website: The candidate can download the ESIC Exam Admit Card from the official website "esic.nic.in"
Note: The candidates who fail to in ESIC Admit Card Download should contact ESIC along with details such as Application Number, hard copy of online application etc. for obtaining the Admission Certificates to enter the examination hall. The ESIC Admit Card Download steps are mentioned below. Please follow below the steps to avoid silly mistakes beforehand. The downloading procedure for ESIC Admit Card Staff Nurse is the same. Step 1: The candidates have to visit the official website of ESIC. Step 2: Upon landing on the official website, click on the post's link for which you have applied. There will be different links for Admit Cards for Nursing Staff, Pharmacist and other posts. Step 3: The candidates need to click on the ‘log in’ button available on the homepage. Step 4: Next, candidates have to login by entering their Email ID/User Name and Password which are filled at the time ESIC Application Form submission. 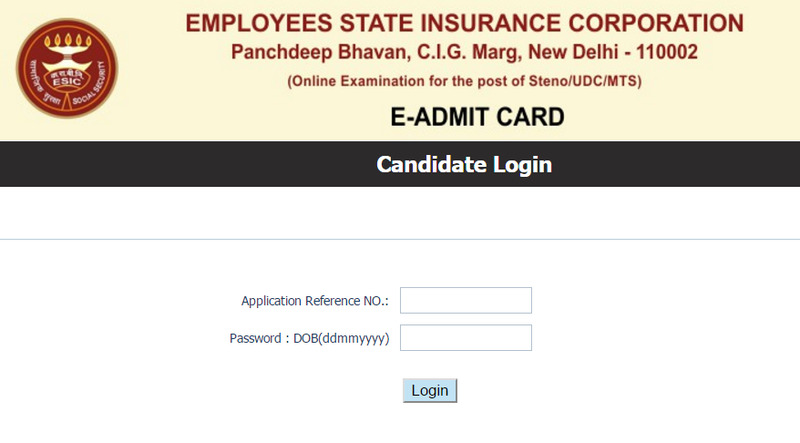 Step 4: Then, you can click on "download" option to save your ESIC Admit Card. You should print nad save it for the future reference. Note the examination venue mentioned in the ESIC Admit Card. Make plans to leave the centre so as to reach there by reporting time. If one is not well aware of the location, it is advised to visit the location beforehand to avoid delays on the exam day. 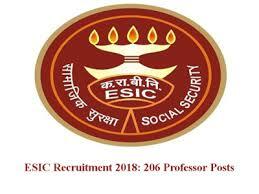 Candidates must carry the ESIC Admit Card # on the day of the exam to the exam hall. Passport size photograph and Photo identity proof should also be carried. Candidates are required to carry the following items compulsorily to the examination hall. Recent passport size photograph that will have to be affixed to the ESIC copy of admit card of ESIC 2019 in presence of invigilator. Mobiles, other electronic gadgets, and wireless equipment are banned within the premises of the examination centres. Their possession is switched on or switched off mode is considered by the ESI Corporation as a manipulative practice and will invite summarily cancellation of candidature, debarment from the ESIC’s examinations and/or criminal prosecution. After doing the ESIC Admit Card 2019 Download, you should go through the Admit Card carefully. If you find any mistakes, please report it to the authority as soon as possible. The changes can be rectified only within a particular time frame. After the correction window expires, you would not be able to make any changes in your ESIC Admit Card 2019.